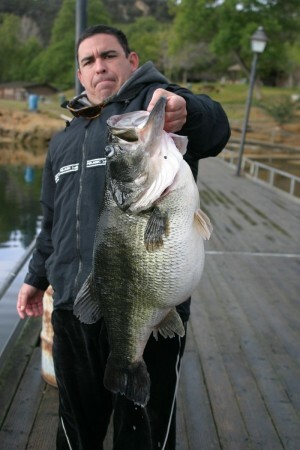 This just has to be the biggest Bass yet “caught”, photographed and released! Mac Weakley foul-hooked this massive Bass (25.01lb or 11.37kg) on 20 March 2006, in Lake Dixon, California, USA. The Bass is held by Mac’s buddy, Mike Winn. This Bass is not the new World Record Bass as it was foul-hooked, but shows to what size a Bass can grow!